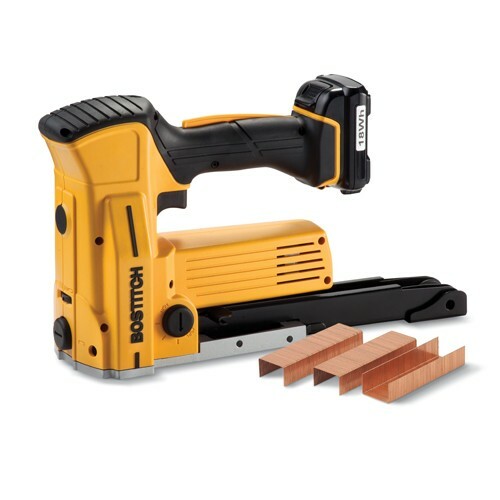 The new battery powered carton stapler DSA-3519-E from Bostitch gives users true portability for the first time! 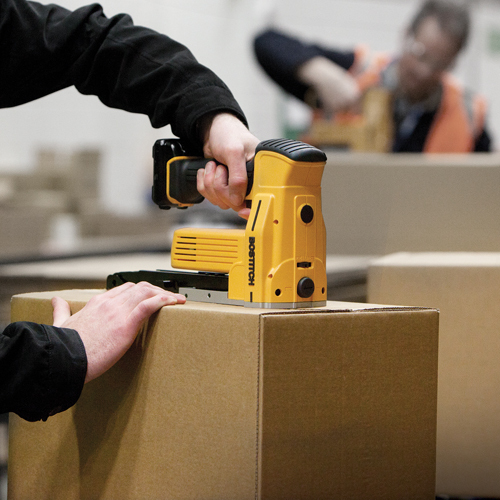 This carton closing tool can be used to seal both single and double wall cartons with ease. 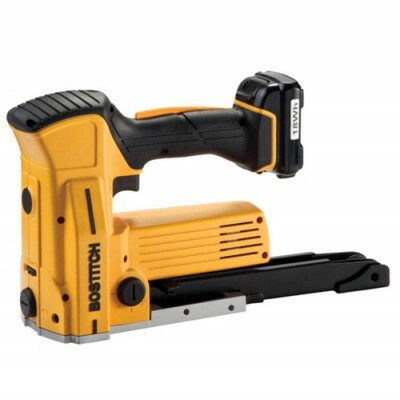 The carton stapler is supplied with 2 Li-Ion batteries that can drive up to 800 staples each and need only 45 minutes to recharge so the tool will keep working all day with no downtime. Carton closing staple type A, also called 35-staple, has a crown size of 35 mm and is available in t.. This robust staples remover removes effortless the big staples from cardboard boxes and prevents eje..